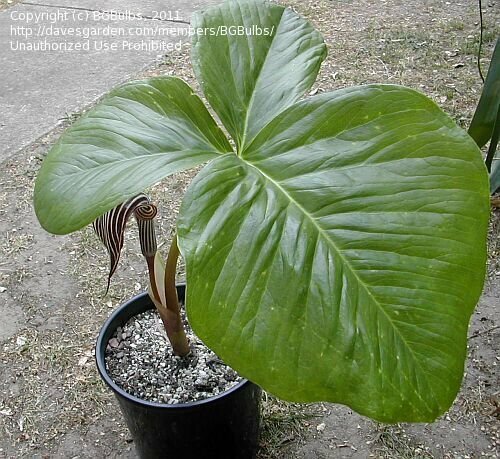 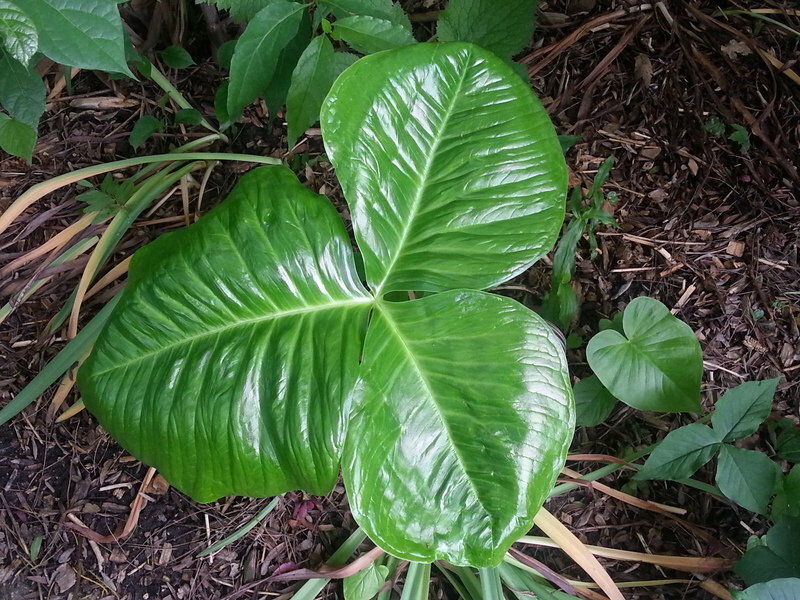 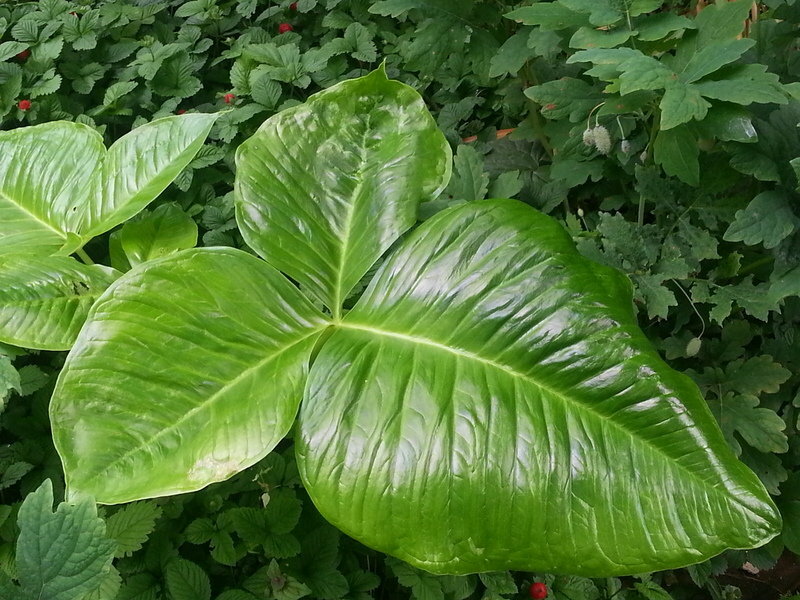 The leaves of this plant are large and glossy. 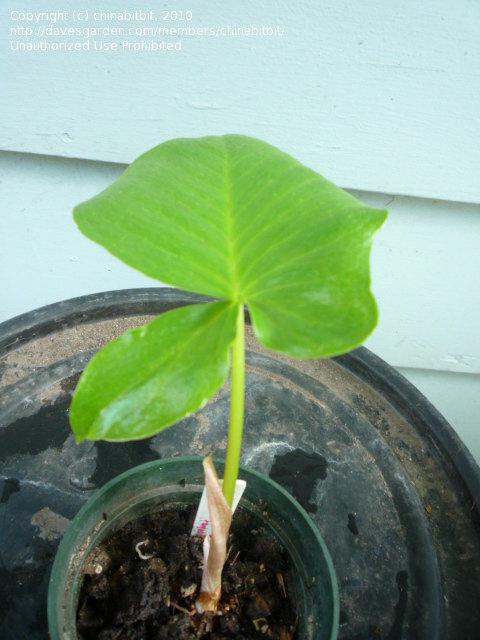 It also offsets readily - note the smaller leaves on the left of the picture. 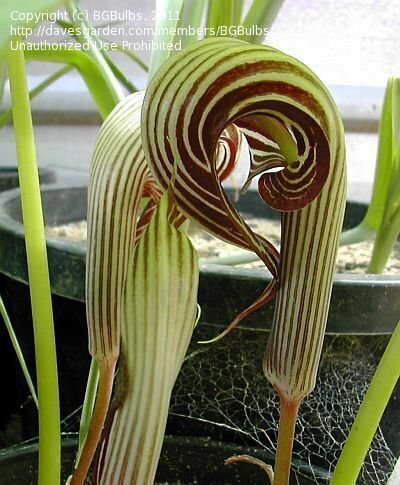 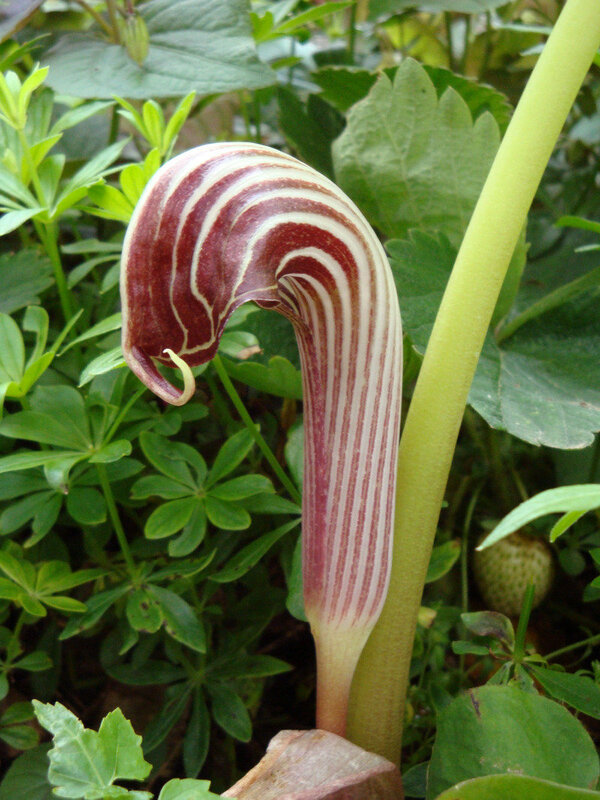 A side view of a candy striped A. fargesii inflorescence. 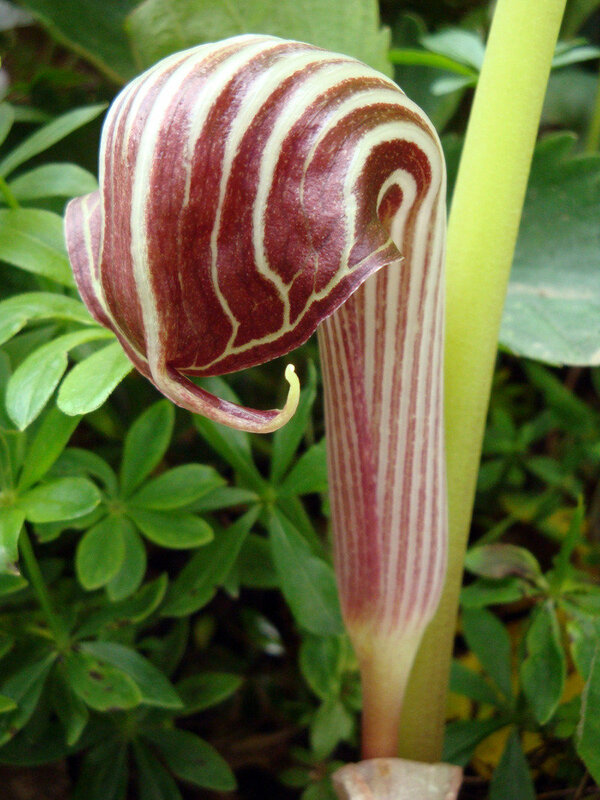 It is held just above ground level and usually hidden from sight beneath the leaves. 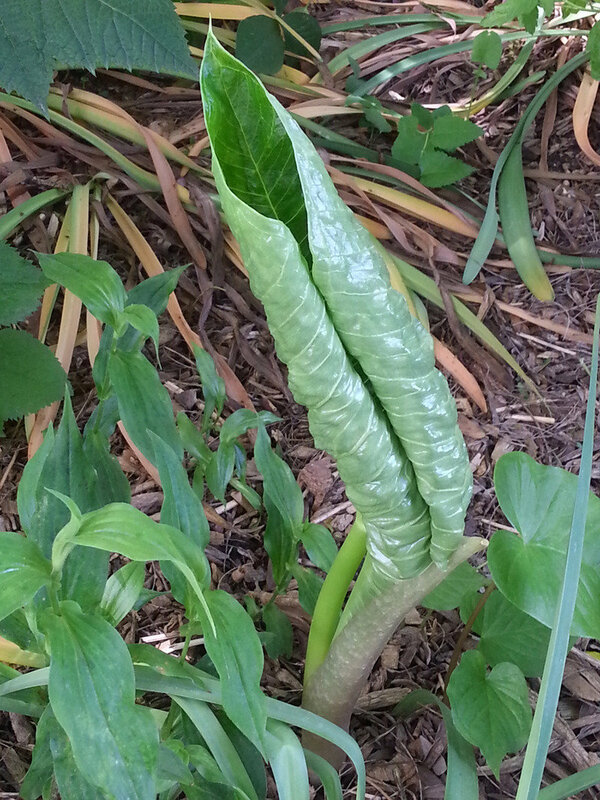 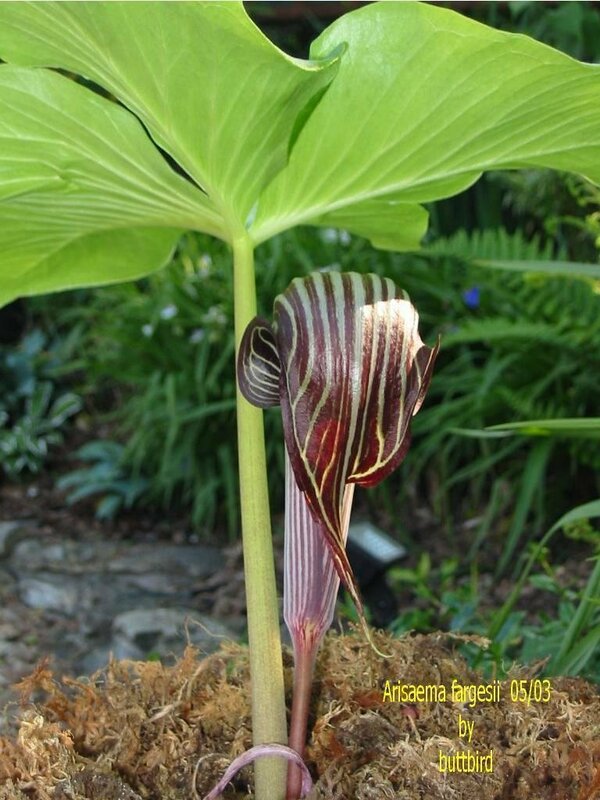 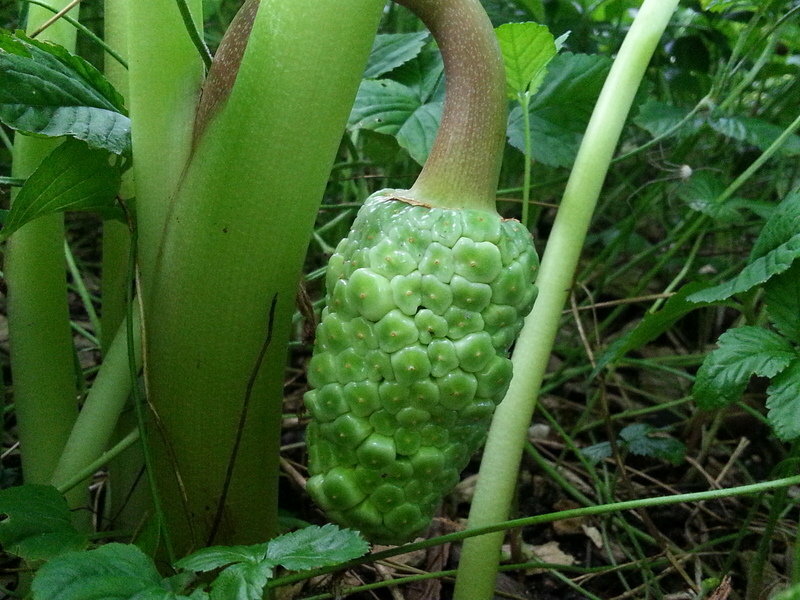 Arisaema fargesii - " Big Momma"
A newly emerged A. fargesii leaf unfurling on June 16 in south central Wisconsin. 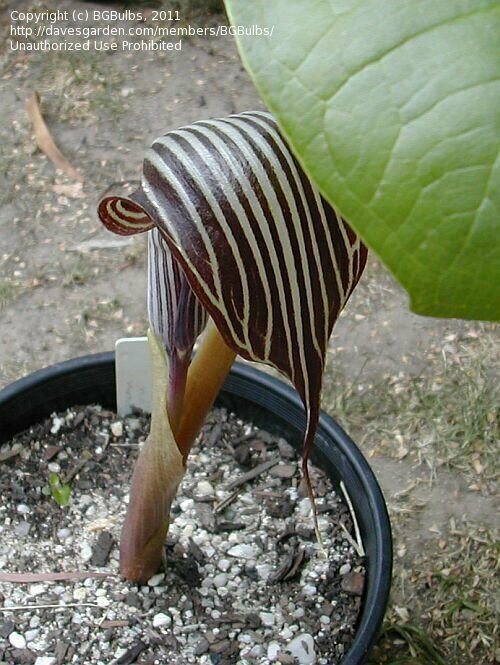 A glossy new A. fargesii leaf just unfurled on June 21 in south central Wisconsin.